This is what most people in Western culture think of when they hear the word vampire. But, as you’ll see, there are nearly as many varieties of animated corpse vampires as there are every other kind. The Vetal of the Indian subcontinent is an example of a vampire who straddles categories. It’s a spirit that possesses and animates corpses and in many tales it has sorcerous powers. In the Tibetan Book of the Dead, the Vetal are said to be a race of divine vampiric beings who appear half human and half bat. However, like other vampires we’ve seen, the Vetal can possess a human corpse in order to disguise itself, using fresh blood to keep the body from decay. Feeding on the intoxicated, the insane, and others whom society would not be likely to believe, the Vetal enters a home by use of a magic thread down the chimney—so those of us with central air are safe. Not content simply with blood, it consumes intestines and excrement as well. Despite this unsavory aspect, the Vetal is far from a mindless killer. In fact, its’ most famous appearance is in the tale of King Vikram in which one of these creatures thwarts twenty four attempts to capture it by telling tales which all end in a riddle. Later, the vampire gives the king advice on how to turn the tables on a trap which his enemy has planned. In some versions, a Vetal is created when a child dies and doesn’t receive proper funeral rites. This is similar to creation methods found in vampires of surrounding regions like the Greek peninsula, China, and the Balkans. Turning our attention to China, no survey of vampire folklore would be complete without the Jiangshi, the infamous hopping vampire. One of the most distinctive and memorable tales from around the globe, the Jiangshi is created in a number of ways: cats jumping over fresh corpses, moonlight shining down on fresh corpses, and black magic. In its early form, it is literally just a corpse stiff with rigor mortis who hops around and attacks either on its own or under the command of a sorcerer. It is difficult to destroy in this form, but relatively easy to capture or elude, as it fears running water, can’t move in anything but a straight line, and has a compulsion to stop and count rice, peas, or iron filings thrown in its direction. While doing that, you sweep them away and the Jiangshi follows so that it can resume counting. As it ages, however, it is said to grow long white or green fur, limber up, and gain the ability to fly and shape-shift into mist and animals. Now, a lot of these traits—aside from the fur—sound pretty familiar, right? My personal theory is that the Chinese incorporated elements from other vampire legends into their own. Anyway, by this point, Jiangshi are nearly indestructible and need to be burned completely in order to be rid of them. Which brings us to Greece and the Vrykolaka. These can be created by a person living a bad life, being excommunicated by the church, committing suicide, and many of the other typical methods we’ve seen. One unique method is simply by being a werewolf in life, which is a condition one is born with in Greek culture. When those come back from the dead, they’re called Varkolaks. When Vrykolakas rise from the grave, it looks every bit like the bloated, animated corpse that it is. It will go to the homes of the people it knew in life and knock upon their doors. Whoever has the misfortune to answer, the vrykolaka will ruthlessly attack by day or by night. Victims who happen to survive the attack of a vrykolaka will become this type of vampire themselves when they die unless they eat some of the dirt from the grave of the body that attacked him. The vrykolaka can be prevented from attacking if its resting place is found. Decapitating the vampire and hiding its head where it cannot be found is used in modern times, but the traditional method of rendering the body to ash is the most certain and effective. The only way to destroy a vrykolaka that was created through excommunication is to have a priest perform a special ceremony over the body followed immediately by either of the methods of destruction previously mentioned. Honestly, though, this one has more regional variations than almost any other. The Draugr of Iceland was a fearsome revenant exists solely to guard its treasure, which Viking warriors were traditionally buried with. Draugrs could do strange tricks like increasing their body weight and growing or shrinking, move freely through earth and stone, conjure storms, and see the future. What’s more, draugrs were said to be impervious to mundane weapons and that the only way they could be killed was by being wrestled into submission by a hero and then beheaded. Some scholars believe that Grendel of the Beowulf saga was a draugr, and others think that we get the concept of the ogre, troll, and dragon from these legends as well. Finally, we come to the guy that most of us think of when we think of a traditional vampire: the Upyr. Known by many regional variations including Upire, upior, upiri, vapir, and wampyr, this is most likely the word that eventually gave us the term vampire. Russia’s version has iron teeth that allow it to chew out of its grave and eat the heart from its victim’s chest. Unlike our modern version, though, it tends to be active between noon and midnight—kind of like me. The Polish variety has a stinger on the end of its tongue to drain blood with and it likes to sleep in a bath of blood. In Germany, it resembles the Greek Vrykolaka but needs to be destroyed with a stake made of mountain ash in a single blow. Call Buffy for that one. In other Slavic countries, the body has to be dug up and re-buried face-down so that the suspected vampire can’t dig its way out anymore. In other areas, you hear about garlic, prayers, and holy water. And that most famous of vampire terms, Nosferatu? Where’s he? Well, there’s some debate about that. The term itself comes from Greek and means plague-bearer; many believe that it had nothing at all to do with vampires until Emily Gerard used it in her book on Transylvania, which Bram Stoker based much of his folklore in Dracula on. Others insist that there is a particularly sexually oriented vampire by that name in central and Eastern Europe, known to return to its home and try to resume its old life. To me, this also sounds a lot like some of the stories of the Vrykolaka, but I could be wrong. In any event, you’ve probably noticed that almost none of these types fit all the tropes of the modern vampire archetype and that’s true. Today’s vampire is an ever-changing amalgamation of various folklores and that’s what makes them so captivating. Brian McKinley doesn’t really exist. He’s a constructed mortal identity used by a relatively young Vampyr in order to publish the truth about The Order. Due to the world-wide influence of The Order and its minions, these accounts must all be published as fiction. Sometimes the names and sequence of events have been changed to protect the innocent, the guilty, and to keep from getting sued. Tell us a bit about yourself? Name, State or country? What is your connection to Irish Heritage? Do you know what part of Ireland your ancestors came from? Do you live close to where they lived? Have you visited there? Hello! My name is Iseult Murphy. I live in County Louth on the East Coast of Ireland, about 40 minutes from the capital city of Dublin. I am fortunate to be the youngest of a large family, and I have a lot of siblings who are interested in reading and writing. I started writing my first novel when I was 7. In my teens, I won several short story competitions, and in my twenties I began to take writing more seriously and started submitting my work to publications. I have always been drawn to horror. The world is a scary place, and I think the horror genre gives us the most freedom to explore our fears. They can be surface fears, or societal fears or deep seated existential fears. 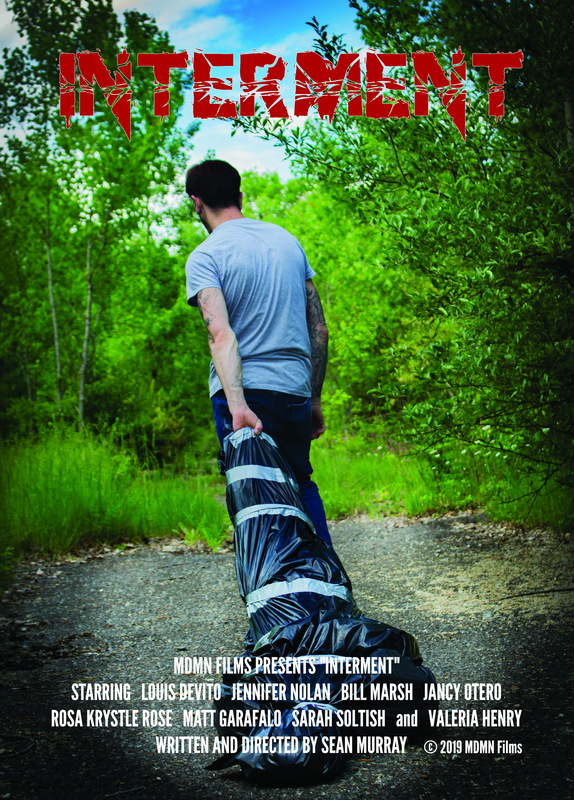 Horror is a safe place to shine a light on the struggles of life, revealing the best of us in the worst situations. It is also great fun. I get inspiration from everywhere. Sometimes my dreams inspire my stories, other times it is an overheard conversation or a headline in the news. I am very inspired by the natural world. I love animals and finding out about their behaviors and life cycles. There are some creepy things happening out there in nature! I also am very interested in myths, legends and folklore. Most of those tales are pretty dark, which is why I like them. One of my stories, ‘The Village Shop’, was inspired by a speech and drama festival I attended. One of the trophies was sponsored by ‘The Village Shop’, but village was spelled wrong, and it made me wonder what kind of things were sold in a vile-age shop. I think so. I love the myths and legends of Ireland. I’ve written several stories that deal with elements from Irish mythology. My short story ‘Heart of Gold’ has leprechauns, Irish gods and the amadan – a creature from Irish folktales who is said to wander the roads in August, and if you see him you will go insane. Zombies. They are everywhere now, so most people have a plan on how to survive the ZA, but I’ve been planning my strategy since childhood. Body horror always gets me. Scott Sigler’s Infected made my skin crawl in all the best ways. I am very interested in transformation, both physical and psychological, and anything that explores having your identity being destroyed, or being trapped in a way that stops you from being able to communicate, really scares me. I read Kafka’s Metamorphosis when I was in my early teens, and the idea of being trapped as a giant bug without being able to communicate, and being forced to accept the changes to your life because of your physicality, really got to me. I know it has a deeper message, but the actual surface level story really made my skin crawl and stayed with me. Jeff Vandermere’s Southern Reach Trilogy gets to me for those reasons as well. I have so many! My top 5 are Bram Stoker, Richard Matheson, Garth Nix, Peter S Beagle and J.R.R Tolkien. I like to plan everything out in meticulous detail. I love world building, drawing maps and character sketches and filling notebooks on theme and mood. I have an atmosphere, or color palette, that I want to come across with each piece I write, so the story is percolating in my head for a while to work out the best way to bring that across. I like to shut off the internal editor, which is hard to do, and write the first draft as quickly as possible. The second draft is for bringing the story closer to my original vision. I have recently finished a novella about a woman who sets out to discover what she is, after surviving being burned at the stake. I am also working on two dark fantasy novels, and I’ve just started planning a horror novel, as I’m in the mood to write something gritty and dark. 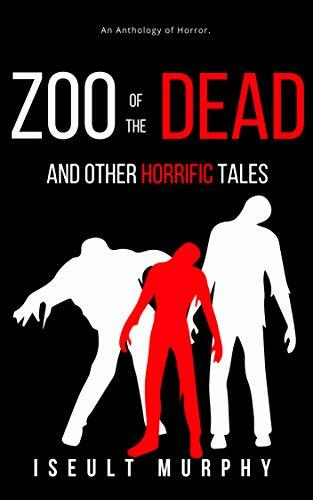 My collection of 9 horror short stories, 6 previously published and 3 new, is called Zoo of the Dead and Other Horrific Tales and is widely available wherever eBooks are sold. Subscribers to my newsletter at http://www.iseultmurphy.com get a free short story every month. This month’s story, ‘Return to Hades’, is the story of a space mutant who journeys into the past to be reunited with a loved one. Iseult Murphy lives on the east coast of Ireland with two cats, five dogs, a kakariki and a couple of humans. She writes horror, fantasy and science fiction short stories and novels. Her work has appeared in over a dozen venues, including The Drabblecast and Alban Lake’s Drabble Harvest. A collection of her horror short stories, Zoo of the Dead and Other Horrific Tales’ is available on Amazon and other eBook retailers. 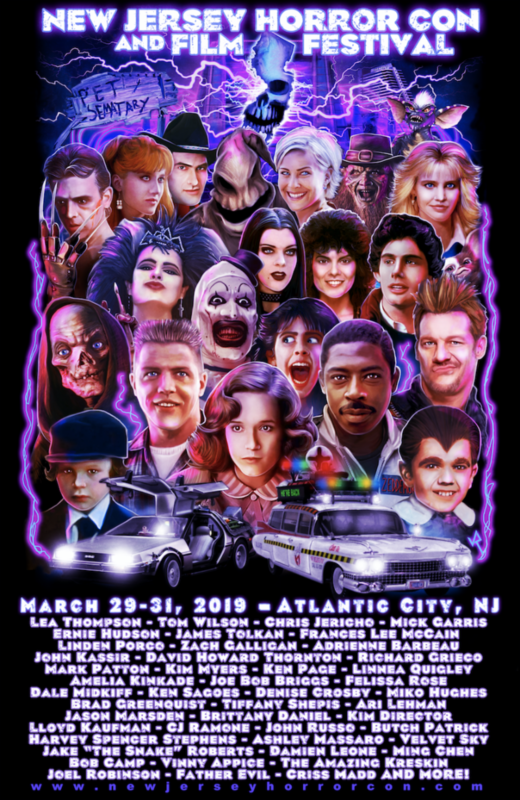 Meet Kbatz at the New Jersey Horror Con! MARCH 29th, 30th and 31st 2019! I am Emerian Rich and I live in the beautiful San Francisco Bay Area. I write Horror, Romance, and ever so often SciFi. 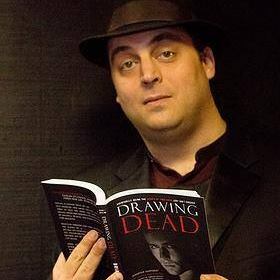 I’m the Horror Hostess for HorrorAddicts.net and am also an artist, graphic designer, and book designer. I am 5 generations from the cross-over, but it’s a part of our heritage we’ve kept pretty close with it. Do you know what part of Ireland your ancestors came from? County Down in Northern Ireland. Do you live close to where they lived? Have you visited there? No and no. It’s one of my live goals to travel there. I started writing stories when I was in Middle School. I had received a journal for Christmas. I started writing about my own life, but by half-way through I was so bored of my own life, I decided to write how I wished my life would be. This new me got to go on adventures, solve crime, and experience things I could only dream of. My first novel was when I was 13. 89 pages of big, bubbly cursive in pencil on white, lined notebook paper. However, I didn’t know I wanted to be a writer until in my 20’s. There’s something special about a story when it can horrify you and make you feel safe at the same time. I enjoy creating stories and characters that people can experience horrific situations through without leaving the comfort of their reading nook. Most people’s lives are nice and safe—which we want them to be—but there isn’t much excitement in living our daily lives. We need to escape every once in a while and dream the impossible. Sometimes the trauma the characters go through can help us work through our own. Beautiful locations, interesting history facts, and most of all, my dreams. Day dreams of what I wish I could do and sleeping dreams where my subconscious goes off the rails. As far as it being part of who I am, it’s all in my writing. My heritage did inspire one particular character most of all. The Irishman, Markham O’Leary, in my Night’s Knights Vampire Series is a direct inspiration from my own family heritage. I patterned him loosely off of my grandfather and his family. What scares me in a good way is Classic Horror or Horror with a classic slant. Movies like The Woman in Black, Crimson Peak, and Ghostship have the mysterious darkness to them that I have enjoyed all my life. What scares me in a bad way is the real-life trauma our world is going through right now. Hate crimes, domestic violence, mass murder, and the simple fact that a large part of the population no longer has respect for life in general. I can never name just one. Anne Rice has been a favorite for a long time along with Andrew Neiderman and Jane Austen, but recently I’ve been delving into horror classics like The Turn of the Screw by Henry James, The Grey Woman by Elizabeth Gaskell, and The Willows by Algernon Blackwood. I generally have so many ideas I can’t possibly write them all down fast enough. My novels are big, enormous ideas that simmer in my head for quite a while before I actually start writing them. If I’m writing a short story, I usually get the email from the publisher or see the call and get inspired by the idea or the cover. Then I think about it for a few days. In a day or two I’ll think of something awesome I want to do. I usually get the beginning and the end and write it down (long hand) as much as I can. When I have a pretty solid first draft, I read it into my phone and email it to myself. Once it’s on my computer I make it pretty, flesh out the descriptive parts, sure up the dialogue and fill in the missing bits. Then it’s ready to send to my betas. I have just finished a modern rewrite of Jane Austen’s Northanger Abbey. It’s sort of a Clueless-meets-Lydia Deetz-from-Beetlejuice YA Romance about a Horror Addict who falls in love over winter break in New York City. 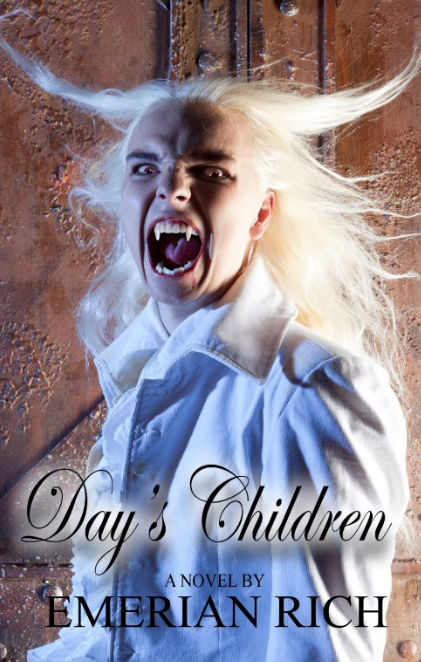 I am writing my third vampire novel, Day’s Children, and have a few other short Horror stories coming out in anthologies this year. 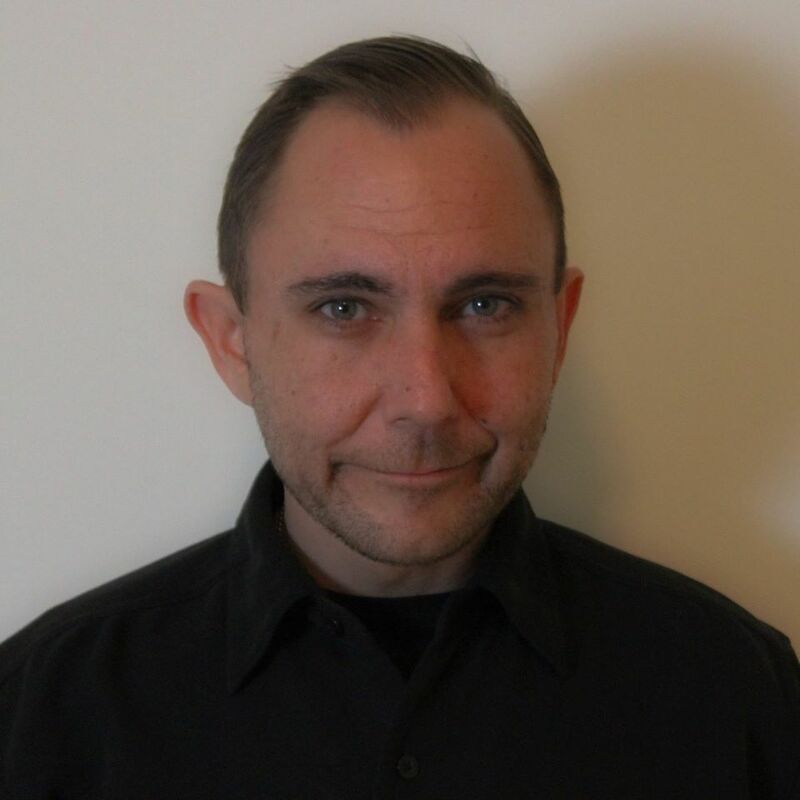 Emerian Rich is the author of the vampire book series, Night’s Knights. 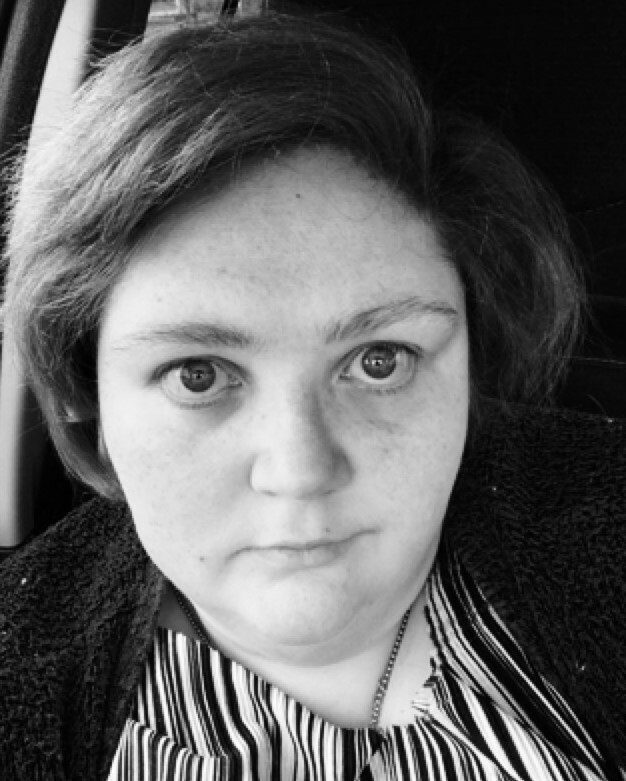 She’s been published in a handful of anthologies by publishers such as Dragon Moon Press, Hidden Thoughts Press, Hazardous Press, and White Wolf Press. 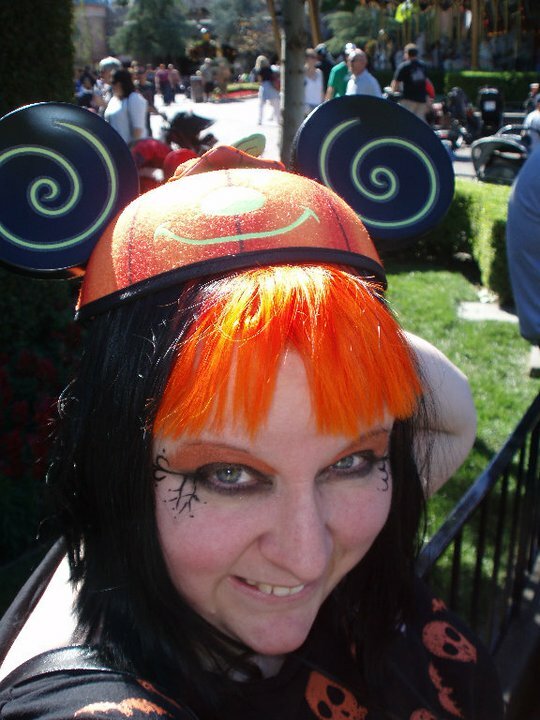 She is the podcast Horror Hostess of HorrorAddicts.net. You can connect with her at emzbox.com.